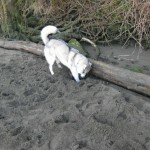 You are here: Home / Rocco / Do Huskies Like to Dig? 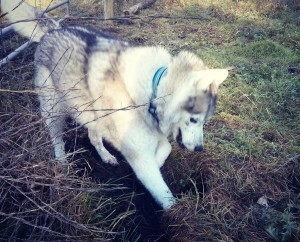 Digging is very deeply encoded into the husky genetic make up. Digging is a survival trait, which, just like their prey drive and uncanny sense of direction, allowed them to survive the harsh Siberian environment. As many other dogs they also dig because of boredom or to escape the yard, but for a Husky digging is a deeply ingrained survival mechanism. To stay warm: they will dig a small den in the snow, so that the snow insulates them from freezing temperatures. To stay cool: In the summer they will remove the top layer of soil exposing moist and cool dirt.They curl up in a small depression with the cooler soil providing them with relief from the heat. 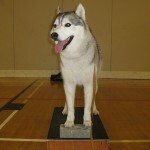 To find food: Huskies have a very strong prey drive and they will dig to uncover potential prey (rodents, rabbits, etc. ), they also forage for roots and plant material which were part of their ancestors diet. To Hide Items: like most dogs, huskies also dog to bury valuable items. How To Stop Huskies from Digging? This is why research before buying or adopting a dog is so important. If having a pristine garden is high on your priority list, then a Husky is definitely not a good fit. Digging no longer serves the survival function as it once did, nevertheless, it is a instinctual behaviour that is very difficult to completely eliminate. Just as running, digging gives them joy and fulfills an inherent need. The potential damage to the garden, or even home!, can be greatly minimized by providing a designated digging area for your husky and teaching them to use it. Terriers are also big diggers We have an underground mole and Pierre has our backyard looking like a mine field! BOL! 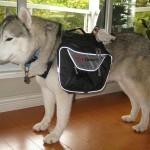 Oh boy, we use to have huskies and they were major escape artists! Dig, jump, climb, run. When I thnkg about it they sure had fun! Oddly enough, terriers also really love digging but Mr. N refuses to dig period. I just saw a husky dig today – those big paws do wonders. 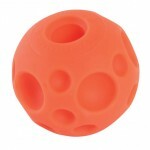 I’m glad you mentioned that it’s difficult to prevent it in a dog that has that instinct. It’s so important to research breeds. Even with training and redirection, it’s always best to start with a great match. 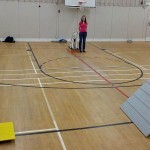 Great post, Marta! Our Sibes were busy digging the other day, too! Bandit was chasing a mole by digging all along the mole’s path across the yard! Happy digging, handsome Rocco! That is some good digging Rocco! You must be halfway to China by now, LOL! I gave my Husky a dig out of her own which prevents her from digging up the yard. It is always a good idea to research breeds before adopting. I did not know this about Huskies. I also found the reasons (for digging) you listed to be very interesting. Wonderful post! I just love learning more about different breeds! I agree with Spencer the Goldendoodle..I love reading new things everyday about different dog breeds!